The Abbottabad Commission Report was effectively a witch hunt that burnt no witches. Vague references to very important people in even more important positions apart, the report names no names. 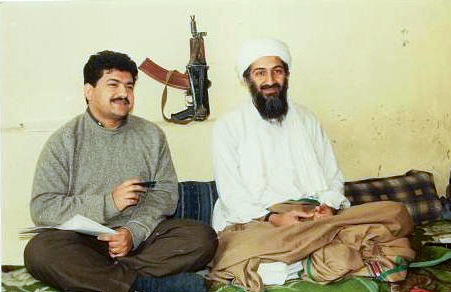 The absence of detail has angered some in Pakistan’s press corps, and none more so than veteran journalist Hamid Mir. Mr. Mir, in his op-ed “Indian Agent,” in the Jang, inquires as to how no one in Pakistan’s political, military and intelligence communities appeared to know anything about Osama bin Laden’s whereabouts. Like a headless chicken likely to assault anything in its path, Mr. Mir proceeds to launch a most unique tirade against Pakistan’s much-feared Inter-services Intelligence Directorate (ISI), President Asif Ali Zardari, COAS Kiyani, ex DG-ISI Ahmed Shuja Pasha and former self-appointed (and only) Field Marshal of Pakistan, Mohammed Ayub Khan. The operation in Abbottabad lasted for a full hour. What were the police in Abbottabad, officers of the Pakistan Military Academy, ISI, IB and members of the Special Branch doing during this time? Where were the defenders of this nuclear-armed nation during the assault on one of our cities? Did the Abbottabad Commission ask these questions of the leaders of our armed forces? The report indicates that the Commission was not able to meet with those individuals most knowledgeable about the operation, but fails to name names. No doubt, the Commission alludes to President Zardari, PM Yousaf Raza Gillani and COAS Parvez Kayani. I knew that the Commission would let them off the hook because it did not want to embarrass the leaders of a nuclear-armed nation. There is no new information in the Abbottabad Commission report. Indeed, the Commission has not even been able to answer the question as to how our intelligence agencies are so proficient in being able to tap the phone lines of politicians, journalists and judges, but are incapable of determining how one of the world’s most wanted individuals came to be living a stone’s throw away from the Pakistan Military Academy. These days, anyone that protests the narrative of Pakistan’s intelligence agencies is subjected to a cyber-war by their agents on social media platforms. We are labeled “Indian agents” because we challenge the narrative of the establishment No one stops for a second to think that if the U.S. was able to orchestrate such an operation in Pakistan with no repercussions, how will these intelligence agencies manage to save face if India were to do likewise? If journalists and judges were to argue that this business of attributing all attacks in Pakistan to “unidentified gunmen” has turned the law of the land into a joke, these people are immediately termed to be Indian agents. If we really did love Pakistan, we would not be making detrimental comments from abroad, like a recently-retired head of the ISI (i.e., Lt Gen. Ahmed Shuja Pasha). Conspiracy theories and labeling people “Indian agents” is nothing new in Pakistan. The foundation for such enduring conspiracy theories was laid during the dictatorship of Ayub Khan. Indeed, the Mother of the Nation, Fatima Jinnah was also labeled an “Indian agent” by Gen. Ayub Khan when she challenged his dictatorial regime. Fatima Jinnah was called an “Indian agent” by the same individual who sold Pakistan’s rivers to India, bartered the aspirations of the people of Kashmir, and instituted programs to buy journalists and reporters to tow the establishment narrative.